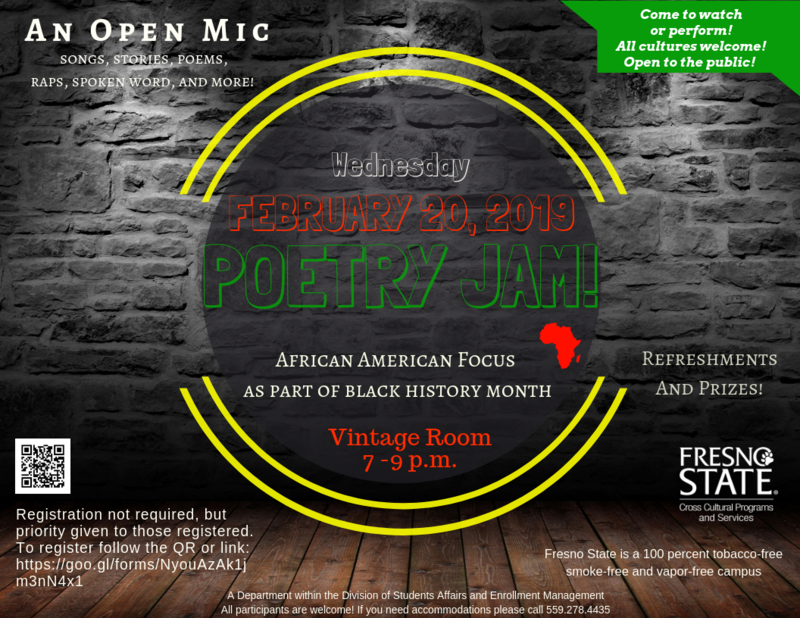 Cross-Cultural Programs and Services hosts Poetry Jam with a focus on African American artists from 7 - 9 p.m. on Wednesday, Feb. 20 in the Vintage Room. 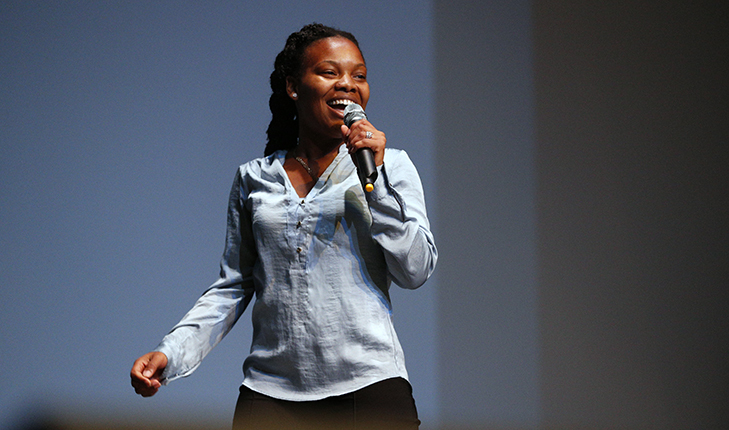 Poetry Jam is held every month and it is an open mic night where people from all different cultures and backgrounds are welcome to present their work such as stories, poetry, spoken word, songs, raps, and the like! ALL cultures are welcome to come watch or perform one of their own pieces. To register to perform, please use this link goo.gl/qrHfFR. Registration is not required, but priority will be given to those already registered.